Bali Hotel For 5 minutes by car from the airport, 100m to Kuta Beach, near to the art market; it is recommended hotel for who stay in Bali in short time but want to fully enjoy Bali! At the restaurant, the staff dressed in folk costume welcomes you. The guest room of Bakung Beach Cottages has AC, and it is clean and comfortable. This Balinese style hotel built with tiled roof. It has different feeling from the luxury hotel, on the contrary it was good. 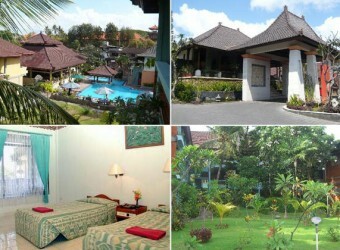 I spent a pleasant time during my stay in Bali without any inconvenience.